Tioga County hot air balloon flights depart from Hickories Park in Owego, located right on the scenic Susquehanna River. Come fly in the beautiful Owego valley and overlook the quaint, historic, rural county with its rolling hillside and majestic forests that surround this old and rustic community. Hickories Park offers plenty of parking for you and your entire group so leaving your vehicle is never an issue. 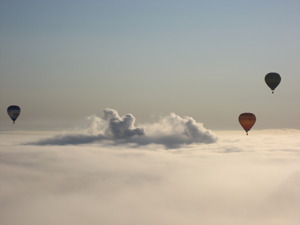 As you arrive and board your aircraft you will start to feel the serenity as the balloon floats towards the sky. There is never a dull moment in the air above the water and trees in Tioga County. Choose a flight in the morning and watch as the sun's rays rise behind the mountain side, or you can fly a couple hours prior to sunset and gaze into the horizon as the sun sneaks back behind the rolling hillside. 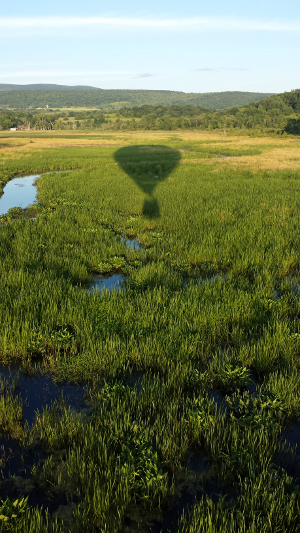 Balloon rides at Hickories Park depart daily at sunrise and a couple hours prior to sunset, seven days a week depending on weather. Flights from Hickories Park are 45-70 minutes long and include pick up from the landing site, return to the launch site and a celebratory champagne toast. 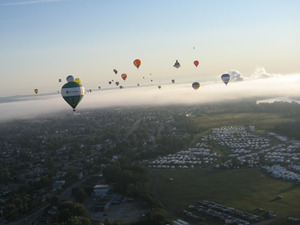 Book your flight today with Southern Tier Balloon Tours and build a memory for a lifetime!